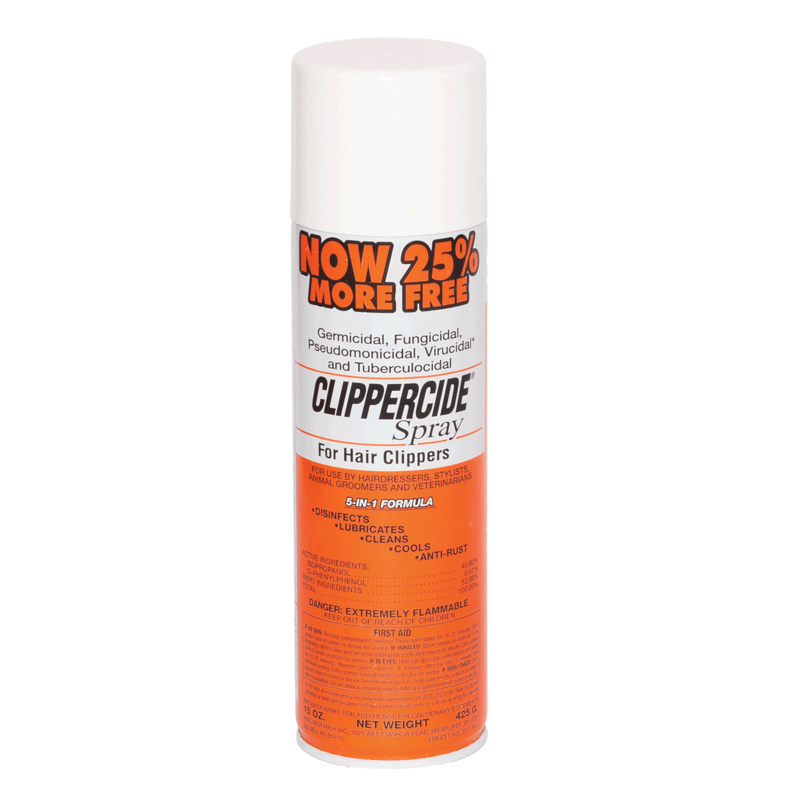 Clippercide Spray is for metallic hair clippers and implements. This exclusive five-in-one formula disinfects, lubricates, cleans, cools and prevents rust in 10 minutes or less. - Make sure clipper is turned off. - Thoroughly clean and remove organic soil and foreign substances from clipper blades. - Hold can upright about 6"" to 8"" away from blade surface. - Thoroughly spray through teeth of clipper blades making sure to cover all surfaces. - Keep surfaces moist for 10 minutes. - Allow to air dry before use. and virucide. Kills HIV-1 and TB. - Prevents Rust-Anti-rust formula protects blades and prolongs clipper life!